Located in the beautiful Monterey Bay area of the central California coast, MPC's curriculum includes a fine concert band led by director Dr. John Anderson. Normally presenting two concerts each year (one in the winter, one in the spring), the band tackles a variety of challenging and enjoyable music. After sitting in with the Cabrillo College band in the spring of 2000 under Dr. Anderson, Yvonne and Norman were invited to participate with the MPC band the following fall with Yvonne on bass trombone and Norm on tuba. By the time we left the Monterey area in June 2002, Yvonne had also played euphonium and Norm had covered trumpet, first and bass trombone, euphonium, and percussion parts as well. 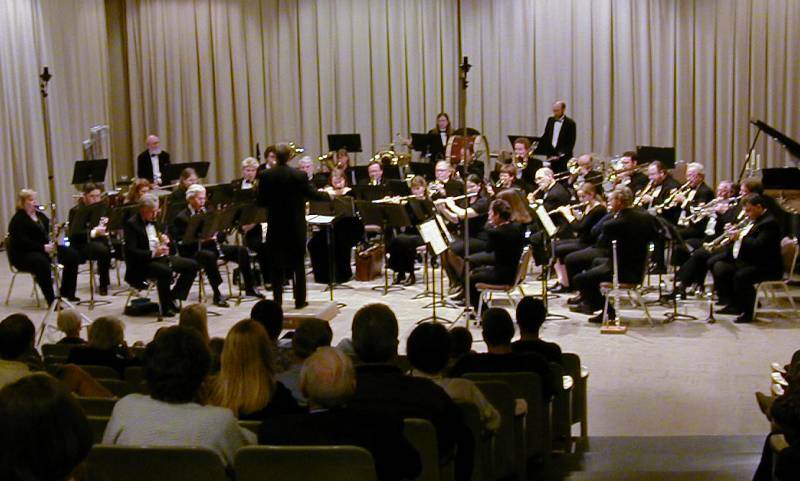 In performance on May 12, 2002, at MPC, Yvonne is on euphonium in the second row just in front of an unused (at the moment) music stand just to the right of Dr. Anderson and Norman is on bass trombone in front of the bass drum. 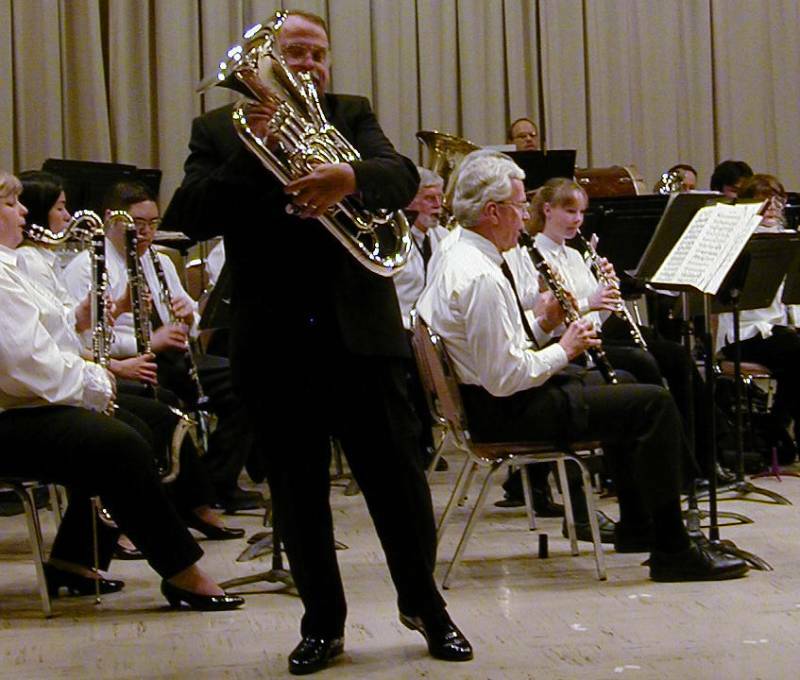 In 2003, Dr. Anderson invited us to return (we were living in Santa Fe, NM, at the time) for their spring concert on May 17 and asked Norman to be one of three featured soloists (Norm on euphonium plus a trumpet soloist and a vocalist). Here he is during his performance of "From the Shores of the Mighty Pacific" by Herbert L. Clarke.